1 x command strip plus 5 Orc warrior strips. 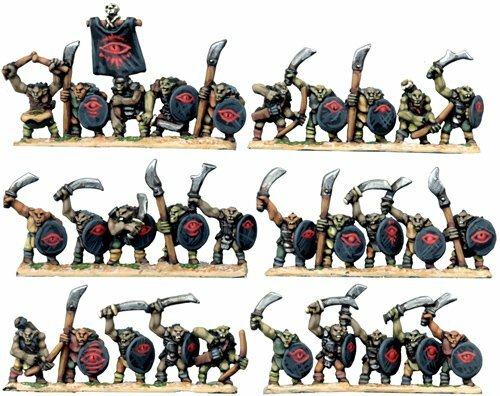 The Orcs are 9-10mm tall. Strips supplied as random variants. Painted by Kevin Dallimore.